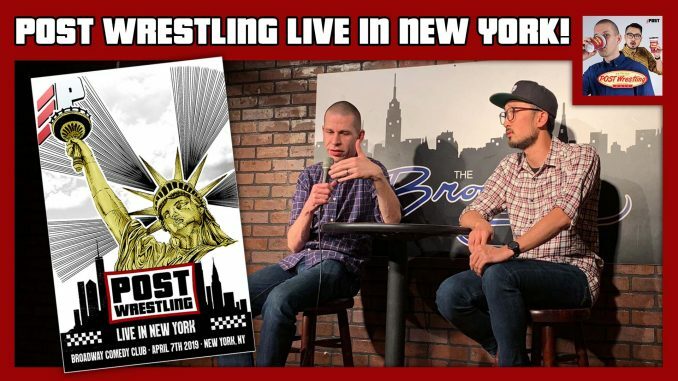 John Pollock and Wai Ting host a very special live Q&A from New York City just hours before WrestleMania 35 on April 7th, 2019. The duo field all questions from a packed audience at the Broadway Comedy Club, discussing everything including our thoughts on various wrestling topics, the formation of POST, our favourite fonts and more. All patrons can watch video of this Q&A here. Special thanks to event producer Robert Pearson, merchandise guru Caitlyn Poli, and our host Donovan Fernandes.